Pie Day Friday: Who You Calling Sissy? Let the record show that I have no beef with your basic pumpkin pie. For as long as I can remember our Thanksgiving standard has been compliments of an old family friend named Libby. That’s what it says on the label and we have indeed liked it, liked it, liked it on our table, table, table. This has not been a tradition to tamper with. 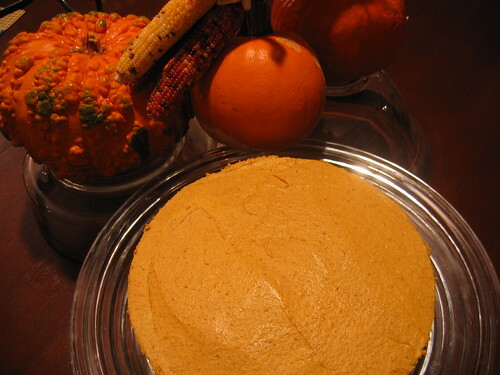 At some point a young prince took over the pumpkin pie mixing bowl and it became one of his specialties. While other kids brought in tadpoles and Pokemon cards for show and tell, the Prince toted glass pie plates and cans of whipped cream. Come next Thursday, he’ll be back in the kitchen, stirring up this year’s batch. 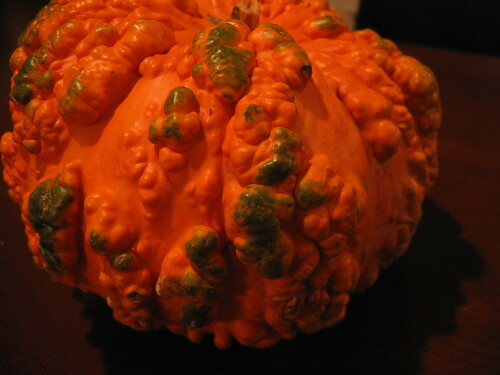 And yes, we’ve tried using “real” pumpkin – that which hails from a field and not a shelf -- with the accompanying laborious scraping and chopping and removing the stringy bits and seeds. While the resulting pies are tasty enough, they’ll never supplant Libby in dependable smoothness or our affections. Nonetheless, there are moments in which we crave something a bit more glamorous to supplement the holiday dessert table. We might yearn for that spicy pumpkin flavor while also craving a sweet that is both ethereal and airy. We might want to consider a dessert that stands tall and proud, one that practically shimmers with deep orange splendor. 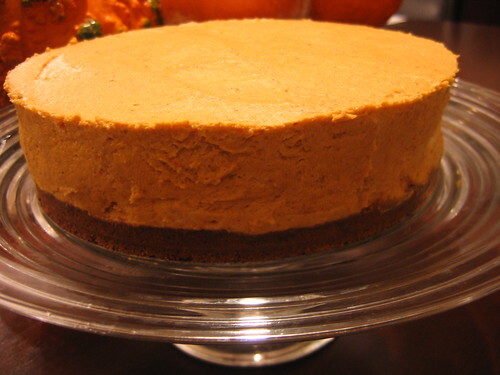 If that’s the case, then I offer you Pumpkin Chiffon Pie, a bit of sizzle that’s sure to satisfy. Chiffon pies were popular in the 1950’s and 60’s, due in no small part to a key ingredient – powdered gelatin -- that was also atop the era’s food charts. To my mind, gelatin has retained that retro air and has, coincidentally, produced some spectacularly scary foodstuffs. Yet, according to culinary expert Linda Stradley of What’s Cooking America, chiffon pies have actually been around since the 1900’s, when they were known alternately known as Sissy Pies and Fairy Tarts. Please don’t let that dissuade you. Rather than speculating on its curious etymology, the Queen prefers to dwell on the many positive properties of this particular pie. For one thing, the zingy gingersnap crust is both simple to make and a crunchy counterpart to the slinky fluff of the filling. In fact, concluding a heavy meal with a chiffon pie seems almost virtuous (if you can somehow manage to ignore the one and a half cups of whipping cream and six eggs that it contains). As befitting an extraordinary chiffon pie, it’s “lightened” by folding both whipped egg whites and stiffly whipped cream into its pumpkin custard base. The addition of gelatin to the custard firms the pie just enough to slice, while giving it the sweetest little jiggle. And so, as the big day approaches, the Queen hopes you have been taking careful notes. By her account your holiday table should be bursting with a seasonal bounty of pie: apple, pecan, and one or both versions of pumpkin. This is your pie-making Final Exam, dear Readers, a veritable Day of Reckoning for you, the pastry apprentice. So start your ovens, loosen your belt buckles, and get to work. For crust: Combine gingersnap crumbs and butter. Press onto bottom of 9-inch springform pan. Bake at 350 8 minutes. Cool. For filling: Sprinkle gelatin over bourbon in a small bowl and let soften. Beat together egg yolks and brown sugar in electric mixer at high speed until thick and pale, 3-5 minutes. Reduce speed and add pumpkin, spices, and salt. Transfer mixture to large heavy saucepan and cook over medium heat, stirring constantly until temperature registers 160 degrees on thermometer, about 5 minutes or so. Remove pan from heat and add gelatin/bourbon mixture, stirring until dissolved. Either transfer to metal bowl set in another larger bowl filled with ice and cold water (or do what I did and place saucepan in sink filled with ice and cold water). Stir occasionally, until cool. 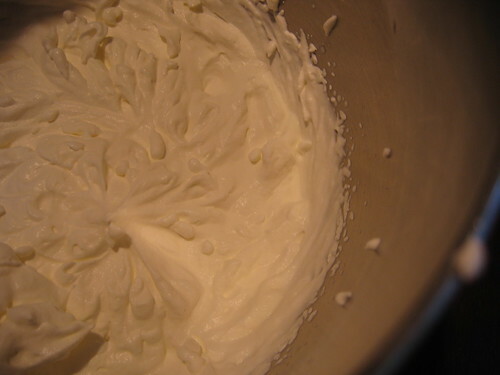 Beat egg whites at high speed until foamy in clean mixing bowl. 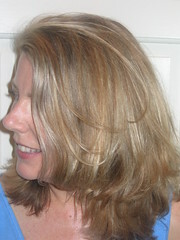 Add sugar and beat until whites have stiff, glossy peaks. 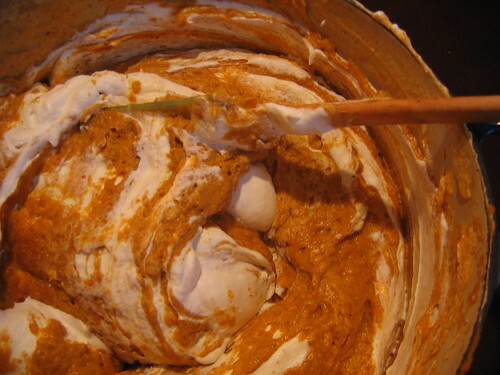 Gently – but thoroughly – fold into pumpkin mixture. Clean bowl again. 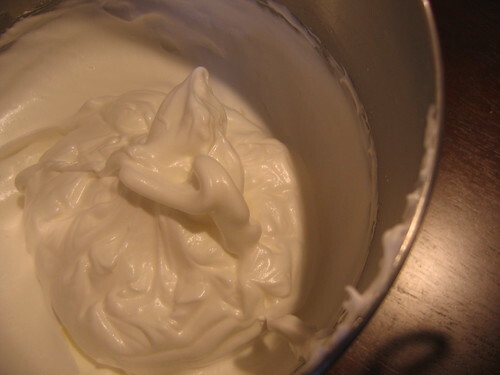 Beat cream until it holds stiff peaks. Pour filling into springform pan and smooth top. Refrigerate uncovered for 1 hour and then refrigerate until pie is set, at least 3 hours. Before serving, run a knife around edge of pie before removing side of pan. For easiest slicing, dip knife into hot water before each slice. Thank you dear Queen for the lovely writing, delicious pictures and your never-ending optimism that the masses can indeed make pies. And while I am counting my blessings, you, the King and the Princes are some of my dearest blessings.